This is a fee based facility! For more information on Membership options and how to become a member, please click the link below. The Rocky Top Dog Park is 5.75 total acres. It is located in a wooded area. 7 foot high fences surround 3 separate dog parks. The fenced areas occupy about 3 acres. There are 3 separate areas - for small, small/medium and "any size" dogs. NOTE: Owners must provide current dog license; proof of rabies inoculation and Distemper/Parvo combination (DHLPP). Dogs must be 6 months or older to use the park. Males must be neutered. Females in heat are not permitted. Be advised: There is no supervision at the dog park during regular operating hours. All persons using the Rocky Top Dog Park assume any and all risks associated with the use of the Dog Park. The Dog Park is subject to closure in extreme weather conditions without prior notice. Q: How much are memberships? NOTE: If you decide to convert from a monthly membership to a yearly/mid-season membership, will will apply your monlthly fee. Q: Why is there a fee? A: This is a high maintanance facility. While other parks require only occasionally visits by township employees, our staff visits the Rocky Top Dog Park at least 3 times weekly to perform maintances tasks including waste bag replacement, pond maintanence and garbage pick-up. This is also the only township park which is lit year round (dawn/6am and at dusk/9pm). We also have a pond in the "any size" dog park which has a UV bacteria light and filtration pump which needs to be replaced regularly. Q: There are other dog parks in the area which are free. Why should I pay to go to the Rocky Top Dog Park? A: Most members mention "safety" as the primary reason they are a member. Other local dog parks are open to anyone. If there is an issue with another dog, you have no idea whom they are and if their dog has been vaccinated. 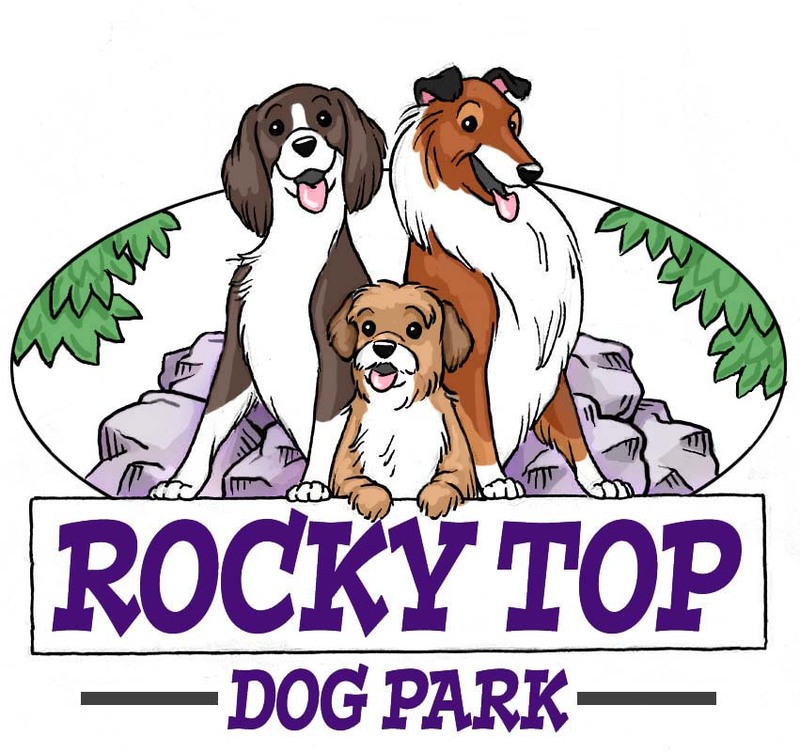 To become a member of the Rocky Top Dog Park owners must provide current dog license; proof of rabies inoculation and Distemper/Parvo combination (DHLPP). Also, dogs must be 6 months or older to use the park. Males must be neutered. Females in heat are not permitted. Additonally, the entry fob tells us which member was in the park and at what time. So if there is an issue we know exactly who was in the park. Other reasons include the pond and the wooded terrain. Other parks in the area are just fenced in areas with limited trees. Q: So how big is the pond? A: It is about 20 feet by 30 feet and 4 feet deep. Dogs may swim in the pond! There is a small stone water fall which is part of the filtration system. We have UV lights which help with bacteria and we also use an all natural product (barley straw) to help with algae. While there are no fish, we do have a few frogs. The pond is drained and cleaned every year. The pump/filtration system is in use when the temperatures are consistently above freezing. Click here to see a short video on the "Big Pond Clean Up of 2019"
Q: How do I get in? I assume the fence must be locked. A: The gates are locked. New members are provided with 1 key FOB for entry. You hold the FOB by the entry box and that unlocks the door. Additional FOBs can be purchaced at the recreation department for a $10 charge. Q: Can I get a day pass to try it out? A: We do not offer day passes because of the paperwork required and FOB based entry. Our monthly membership is the "trial membership." If you decide to convert from a monthly membership to a yearly or mid-season membership, we will apply your monthly fee to that membership. Q: Do you provide waste bags?